I'm back in the mode of prepping as many meals over the weekend as I can. Not only does this maximize my time on weeknights, but I prefer to spend four hours in the kitchen and knock out several recipes at once than to spend an hour in the kitchen four days in a row. My foresight paid off--the night we ate this for dinner it was a rare 70 degrees (in December!) and I was thankful we could quickly eat dinner and then head out for a game of tennis under the lights! 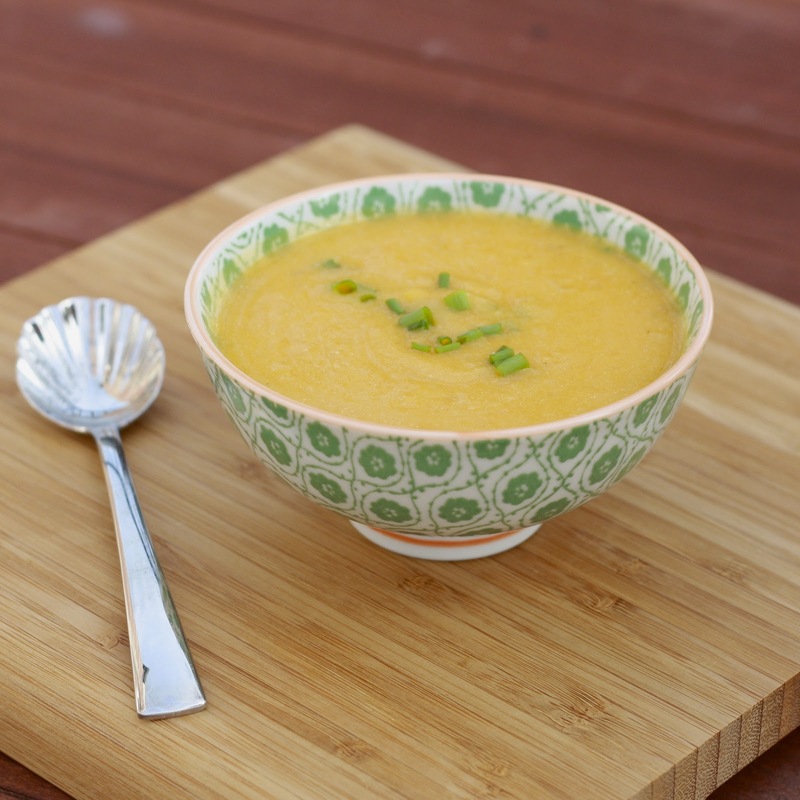 This soup hails from Everyday Food, a monthly Martha Stewart publication that is sadly coming to an end this month. I get a lot of food magazines, but this was one of my favorites for its practical and simple recipes. 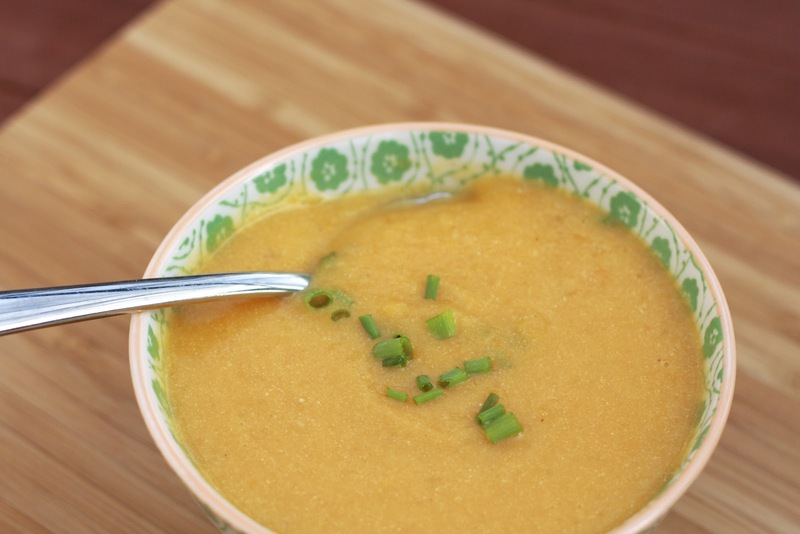 The butternut squash pear soup was exactly what I've come to anticipate from Everyday Food. With only a handful of ingredients, this was easy but not boring. The sweetness from the pear is very noticeable, making this an excellent pair (no pun intended!) to something more savory, like a grilled cheese sandwich. 1. Heat olive oil in a medium pot over medium-high. Add onions, cooking until translucent, about 6 minutes. Add squash and pears with 4 cups of water. Season with salt and pepper. Bring mixture to a boil. Reduce heat to a rapid simmer and cooking until squash is soft, 20-25 minutes. 2. Remove soup from heat and add Greek yogurt. 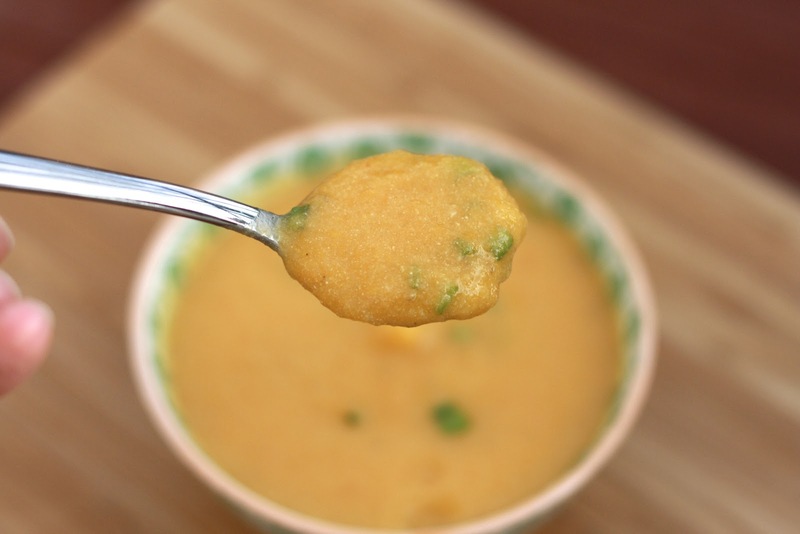 Use an immersion blender to puree soup until smooth (alternately you can transfer to a blender or food processor). Season with salt and pepper and serve garnished with chives.